Today, more than ever, families are sitting down to eat dinner together and share the events of their days. 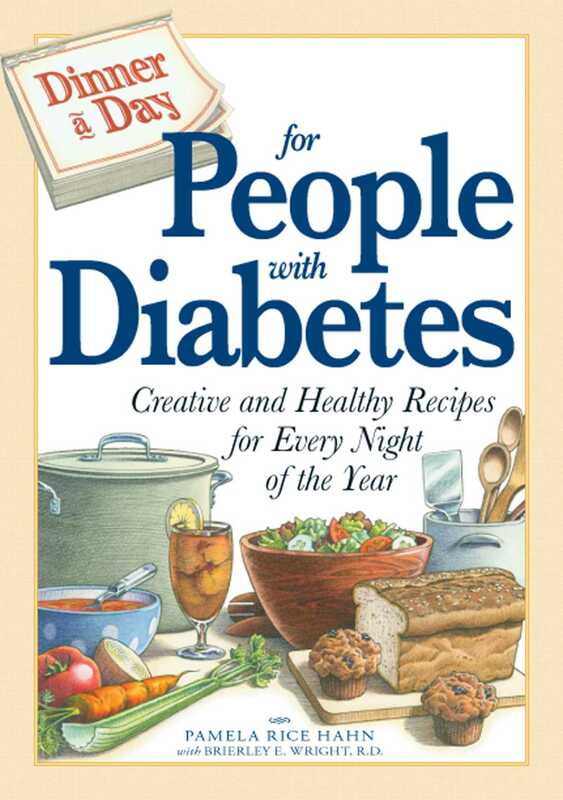 But when one or more family members has diabetes, it’s hard to find a fun and creative meal that everyone can enjoy - until now! With this cookbook, family cooks no longer have to struggle to create delicious and healthy meals for all to enjoy. With a dinner recipe for every night of the year, this one-of-a-kind cookbook offers everything from well-balanced family favorites to cultural treats. This book features recipes like: Sweet Potato Flour Crepes; Honey and Cider Glaze for Baked Chicken; Crunchy “Fried” Catfish Fillets; Pasta and Smoked Trout with Lemon Pesto; Cinnamon Grilled Pork Tenderloin; Roasted Butternut Squash Pasta; and other tasty, low sugar treats! Finally, diabetes-friendly dishes don’t have to be boring - and they’re easier than ever to fix!